Showing off the lovely hazy stripes of SMC Merino Color, this quick baby cardigan is a great project for practicing your raglans and your sewing up. This sample in the shop - along with 6 other shades and pattern books. 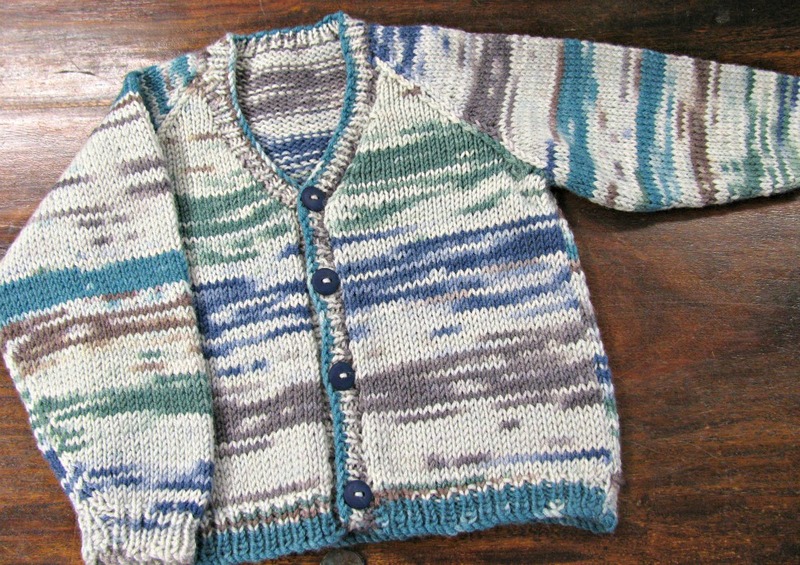 This pattern was actually written for Freedom Sincere Cotton, but as a standard DK yarn the SMC Color worked perfectly!